If you find yourself in the Pioneer Valley of western Massachusetts and you’re looking for something a little different to do, why not consider a day of winery hopping? While the Pioneer Valley will never be confused with Napa Valley, the climate here is temperate enough to grow grapes, and a few pioneering souls have converted their hobby-turned-passion into a growing number of quaint wineries. As we live in the general area and were looking for something different to do on a sultry summer day, we headed out for a memorable afternoon of discovery and wine tasting. As the designated driver for the day, my tasting experience was limited, but I did manage to sample a few of the local varieties that I thought would please my rather sweet taste buds. Did you know that grapes are the largest fruit crop grown on earth? 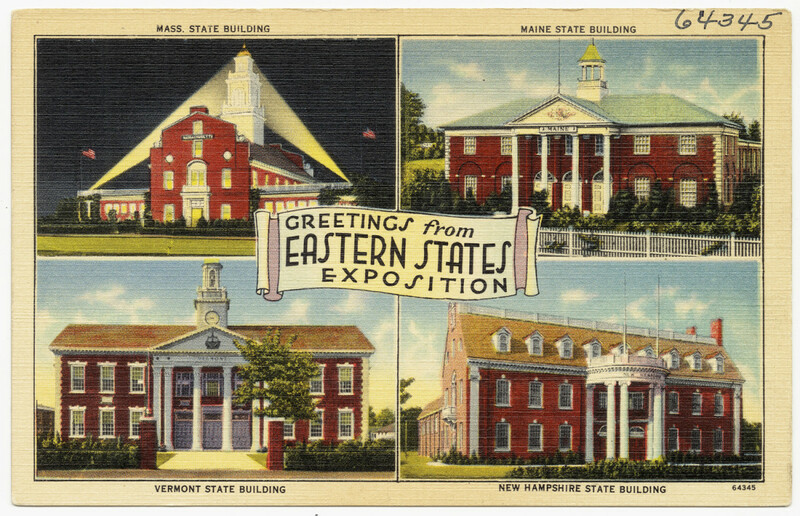 For those of you not familiar with this area of western Massachusetts, it's located approximately 90 minutes west of Boston and just 15 minutes north of Springfield. The Connecticut River runs through the Valley, which was formed by retreating glaciers during the last Ice Age. It's a beautiful part of the state with rolling hills covered with a carpet of green forest. The wineries here are small by any standard, but that is part of the charm, and their relatively close proximity to one another makes it possible to visit a number of them in one day. Before heading out, be sure to check their websites, as some of the wineries are only open on weekends and for limited hours. The best wines are the ones we drink with friends and family. For our day, we managed to visit three of the local wineries: Mineral Hills, Black Birch, and Amherst Farm, in that order. Each offered a wine tasting that consisted of our choice of five or six of their wines. The selections covered a wide variety of wines from my personal favorite sweet white wine, to a sampling of red and rose blends. Each of the wineries that we visited had a unique and interesting story as to how they started and in every case it was a personal passion that led to a business opportunity. 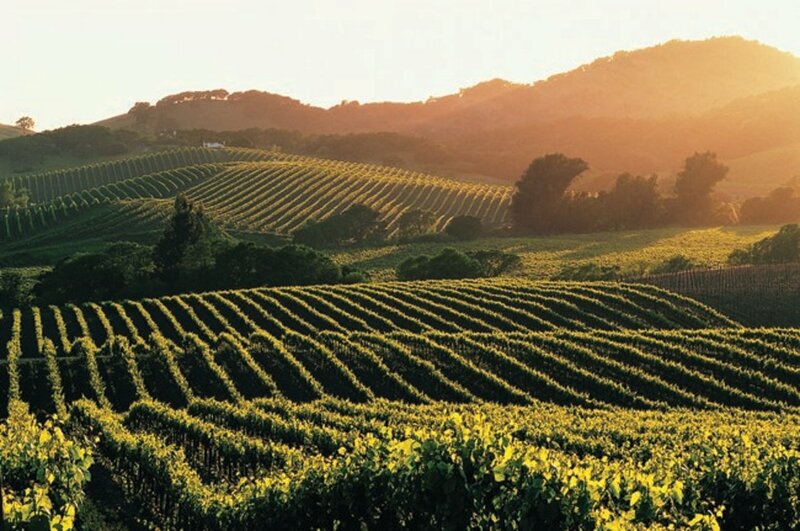 Did you know that it takes approximately 500 to 750 grapes to make one bottle of wine? The highlight of our day was getting to meet Larry and Susan Goddard of the Mineral Hills Winery. 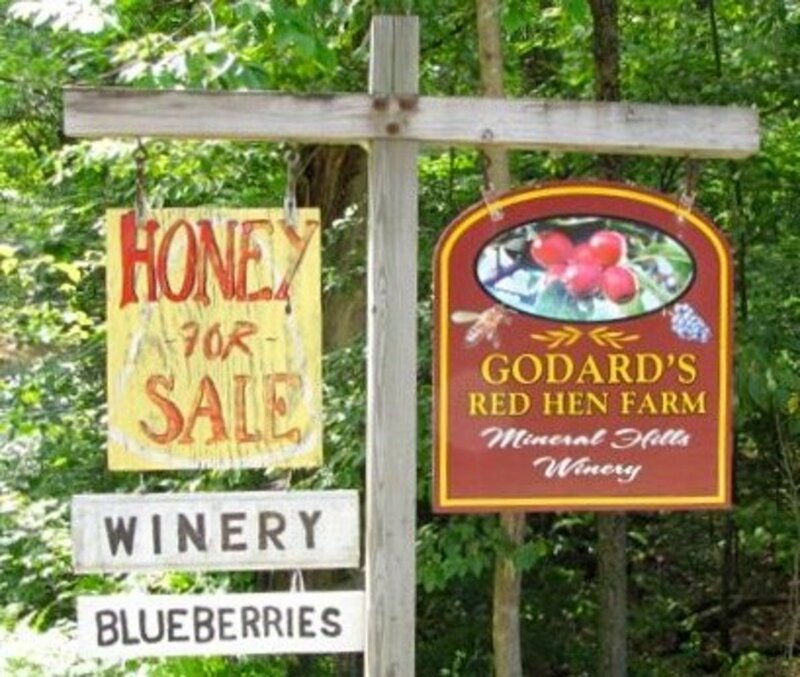 I should point out the winery is located on the Goddard’s Red Hen Farm, which they have been cultivating since 1984. Larry gave us a personal tour of the grounds and shared his story with us. 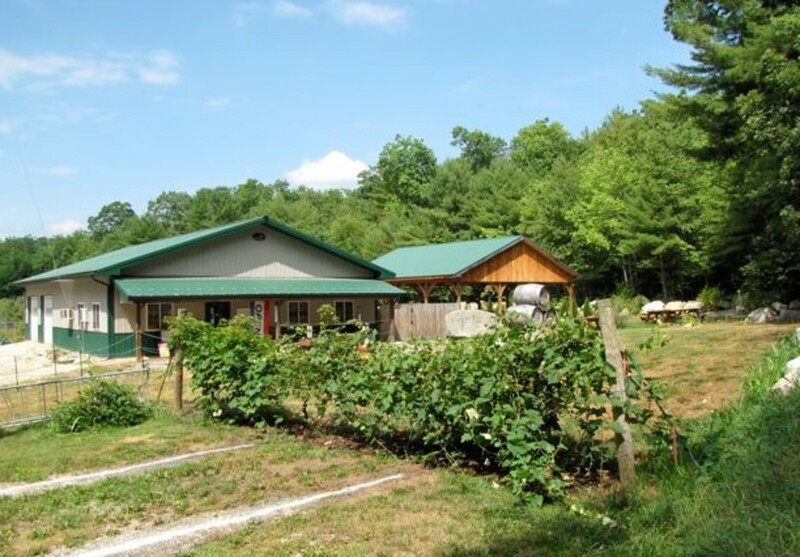 After retiring in 2010 Larry and Susan pursued their true love and turned a portion of their property into a vineyard to compliment the existing fruit orchard. 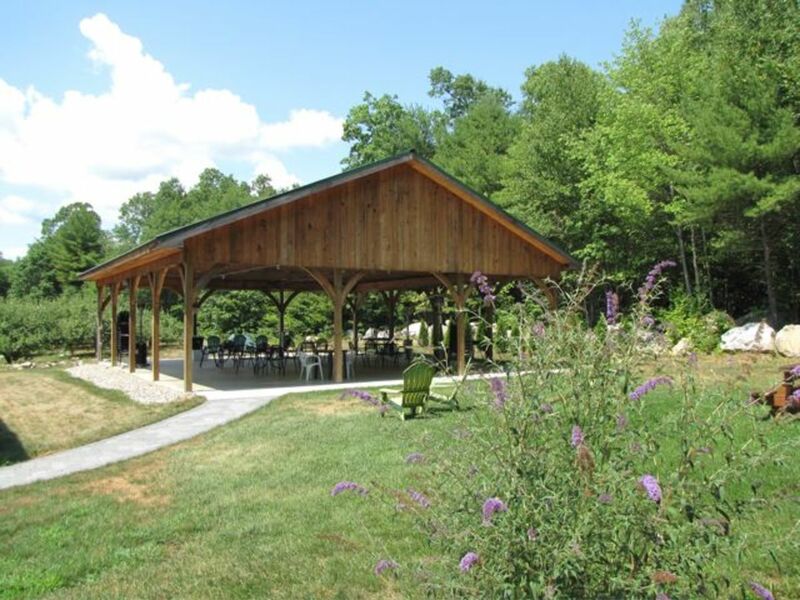 They have since added a beautiful, new pavilion for outdoor entertaining and picnicking. Their passion for what they do is ever present while talking with the couple and they are eager to discuss their wines and share their expertise. 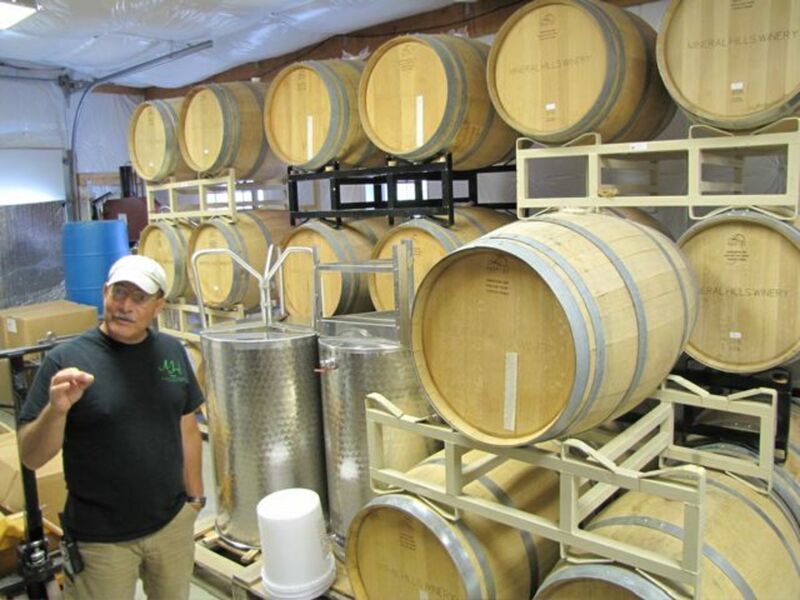 It was fascinating to hear Larry educate us on the different types of oak barrels used in the winemaking process and to hear how his grandparents forged his interest in winemaking from an early age. The Mineral Hills wine list consists of about 18 varieties with a few new ones in the works for the future. I was particularly fond of their Cayuga and May sweet white wines and when we left it was with a bottle of the May Riesling White Wine to go along with a Le Tre Sorelle, a fruity dry red wine. 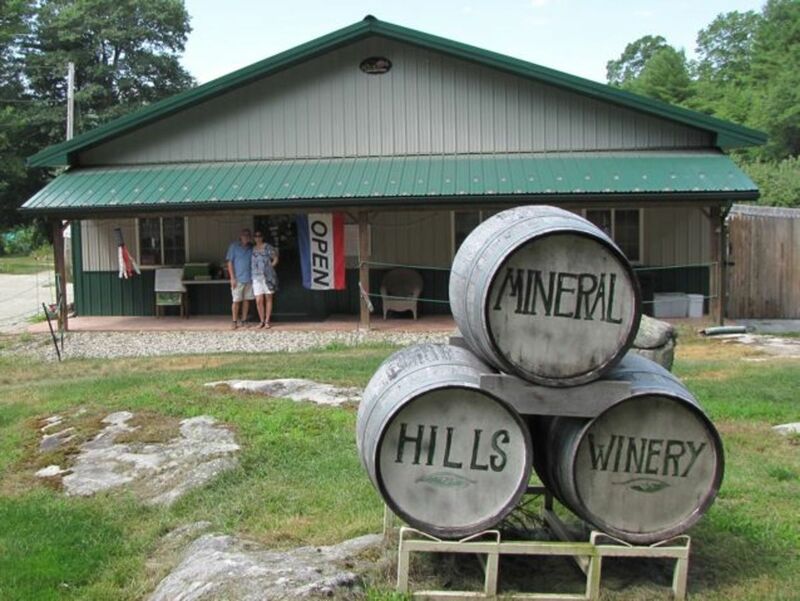 In addition to the vineyard and winery, Mineral Hills will host a summer and fall schedule of events ranging from musical performances under the pavilion to fundraisers for local charities. 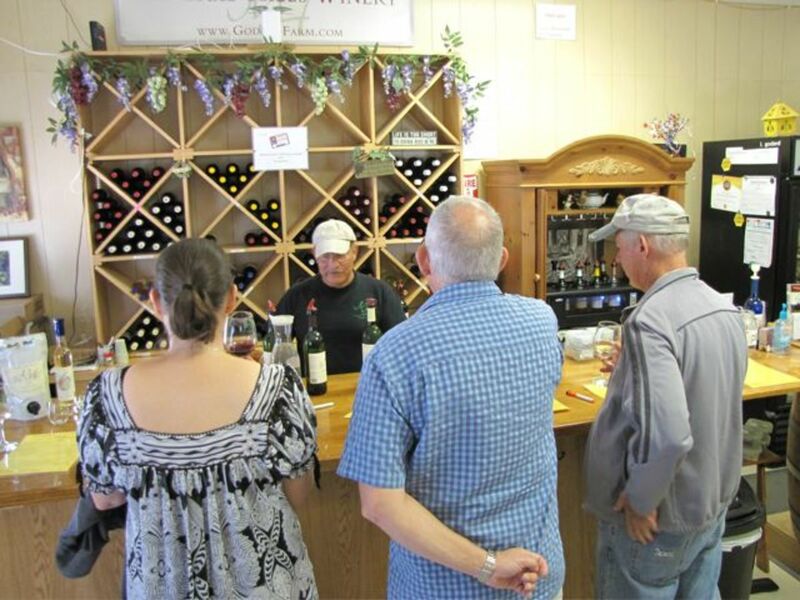 All three of the wineries we visited can be found at any of the local area summer fairs and look for all of them at the annual Big E Fair, New England's Great State Fair, every September. As Mineral Hills was our first stop of the day, they set the bar very high, and I personally found their winery difficult to top. 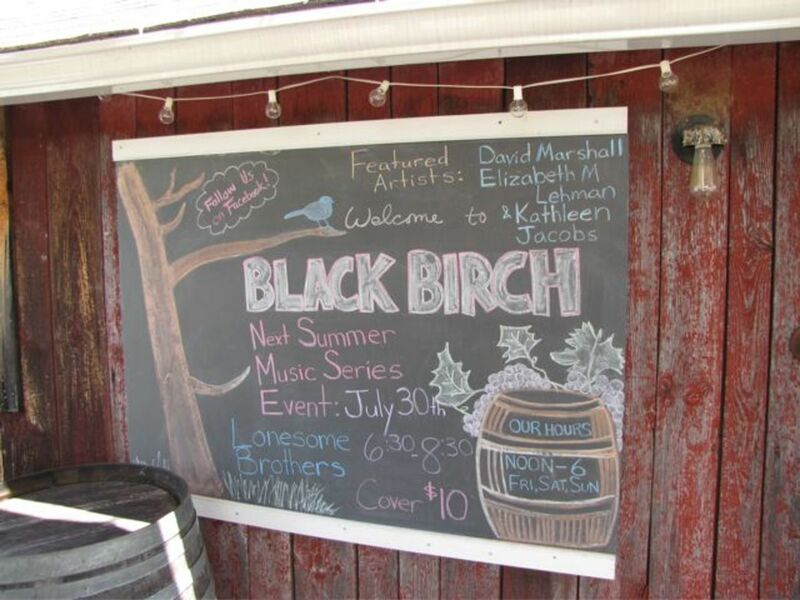 The Black Birch Winery was our second stop of the day, and this winery boasts an incredible view from their grounds, which also hosts local entertainment as part of their summer music series. 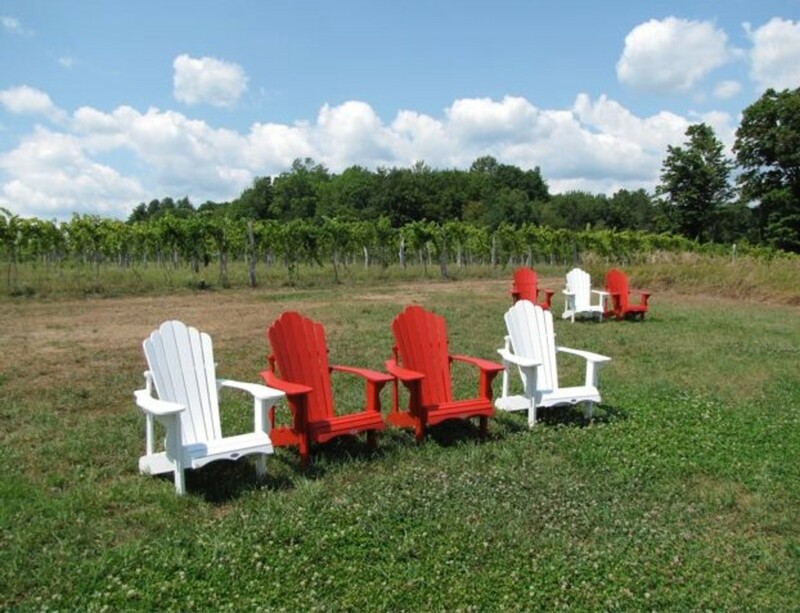 Black Birch offers about a dozen hand crafted wines and the Adirondack chairs fronting their vineyard are a nice touch to sit and admire the view while enjoying a local wine. From the Black Birch Winery, we headed toward Amherst for our third and final wine tasting of the day. 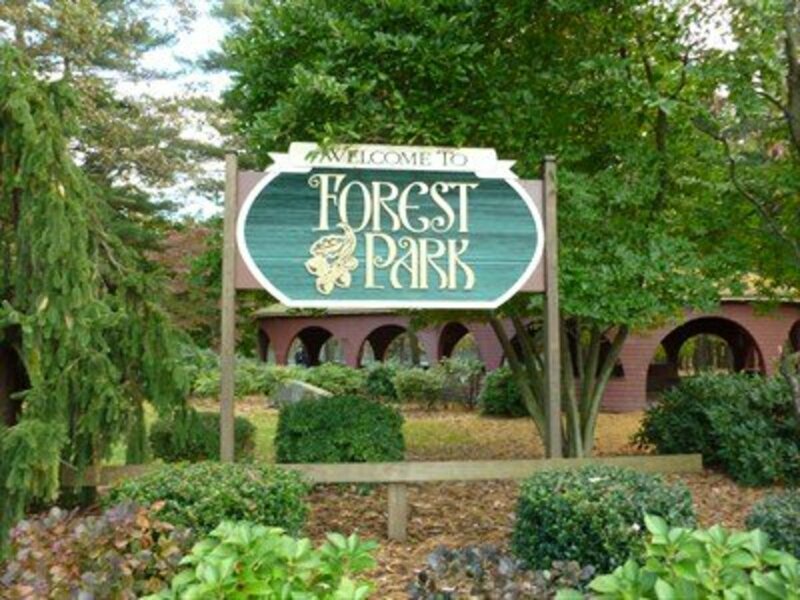 If you are looking for a place to stop for lunch, either Northampton or Amherst are wonderful communities to park and check out the local eateries. 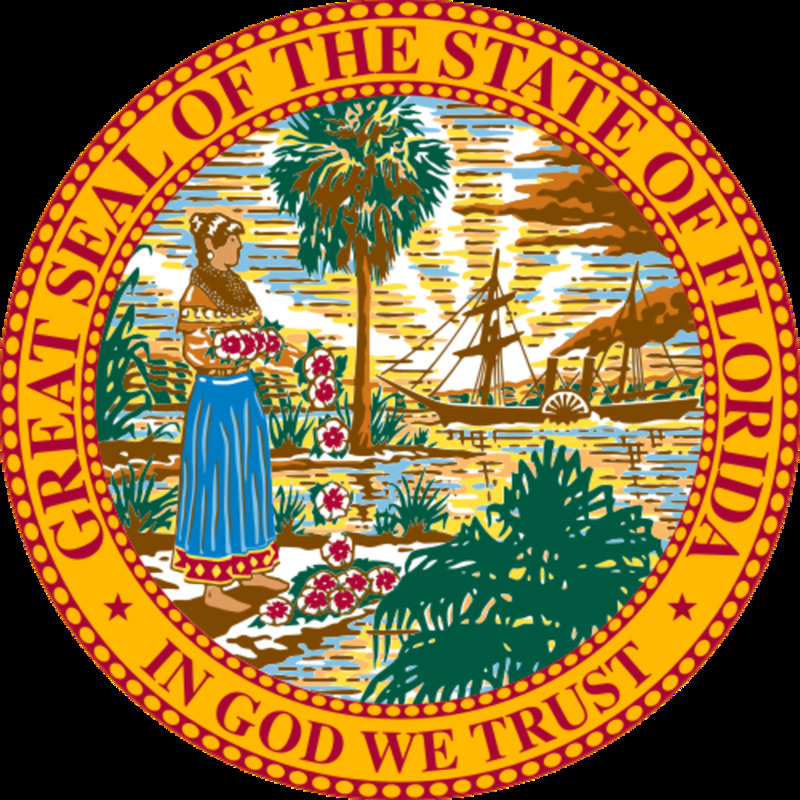 There are a number of great cafés and restaurants in the area and you will have numerous options available to you depending on what you desire. 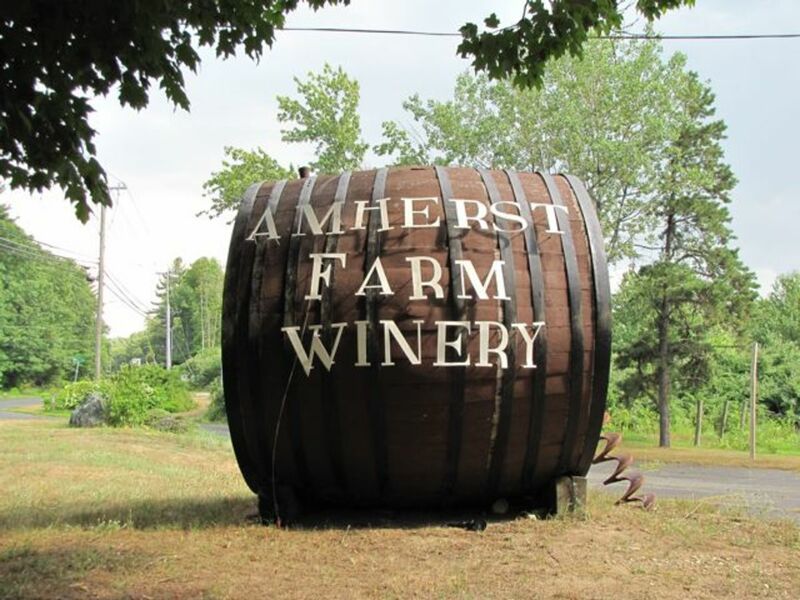 Our last stop was the hard-to-miss big red barn on route 9 that houses the Amherst Farm Winery. The 19th-century barn has been a staple in this area for decades and was at one time a local restaurant (the Rusty Scupper). The renovated interior of the barn provides the perfect venue for wine tasting and the patio out back gives you a nice view of some of the vineyards and the local goats that make their home here. If you are looking for a fruity wine, check out their numerous selections including Raspberry, Peach, Cranberry, Pear, Apple, Blueberry and Pumpkin wine. 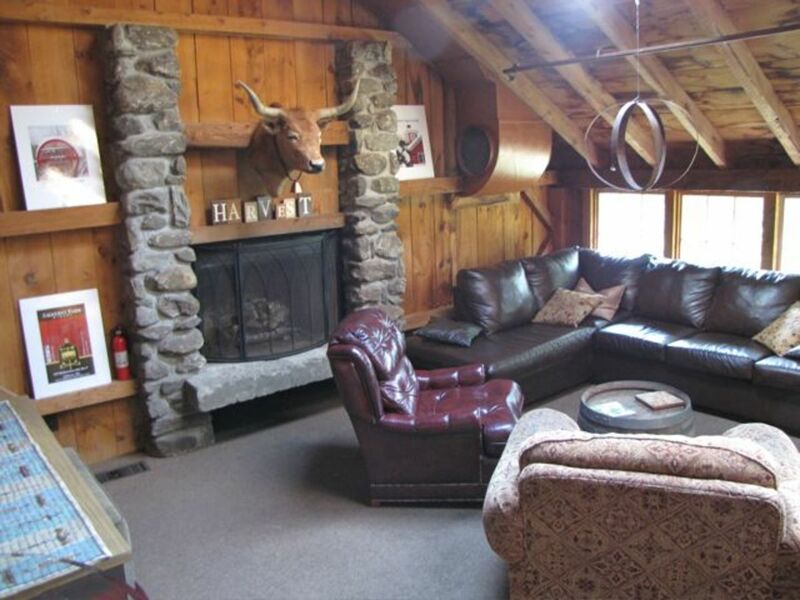 In addition to the tasting room, Amherst Farm offers a large sitting room with a fireplace to enjoy your local wine. 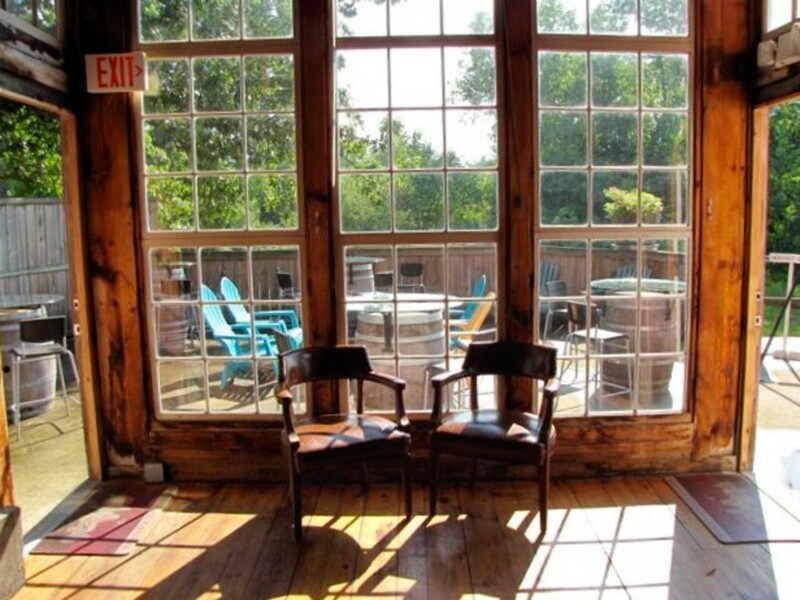 With a large interior space, the Amherst Winery can accommodate private functions and will be happy to assist you with your event including birthday parties, baby showers, engagement parties, and bridal showers. 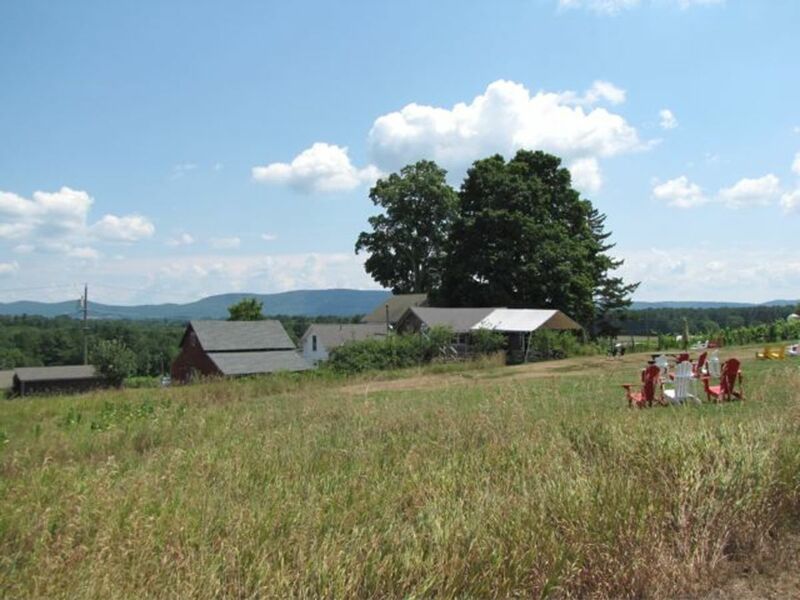 Located in the heart of the Five College region of western Massachusetts the winery is a popular stop for parents looking for something interesting to do when traveling to the area. We hope to be able to visit the other wineries in the area in the near future, and I feel certain that they will provide a similar experience. 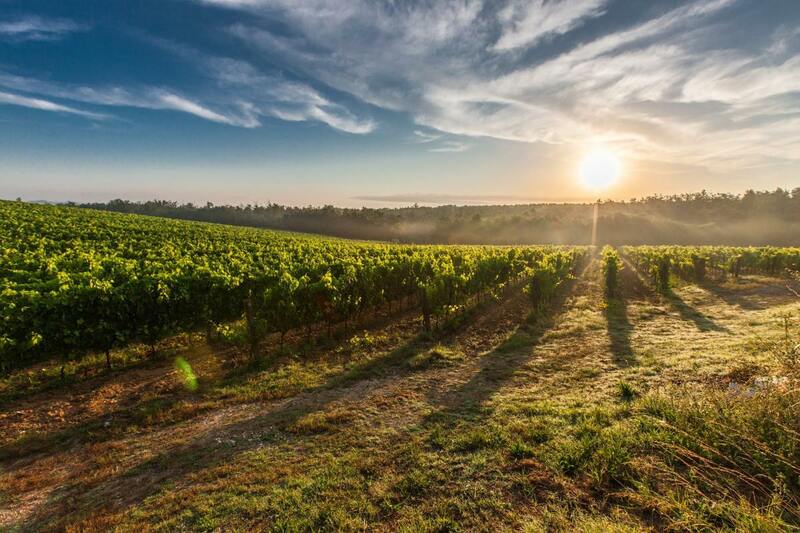 On your next trip to the Pioneer Valley of western Massachusetts, be sure to put aside a day to explore and discover these wonderful vineyards and wineries. They may be a little off the beaten path, but that is certainly part of their charm and the whole experience. Thank you Roselin. Glad you enjoyed the hub and thanks for stopping by. Have a great day. Thank you teaches12345. We had a very enjoyable day. This area has a surprising number of wineries. Nearby CT has an even greater number, which we will explore in the near future. Thanks for stopping by, have a great weekend. I never thought of Massachusetts being an area for wineries. It looks like you enjoyed yourself and had a great time touring the places. Thank you Linda. It really was a fun day, very interesting to hear the stories on how these places got their start. I'm sure there must be a number of similar wineries and vineyards in your area. This is an interesting article, Bill. You've got me thinking about what the wineries in my area offer to visitors. 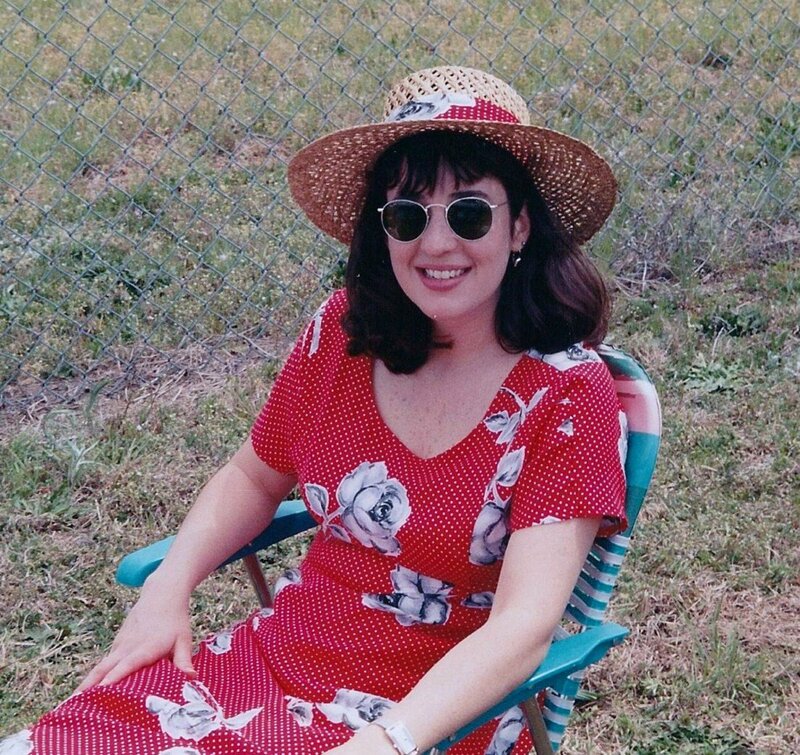 Winery hopping sounds like fun! Hi Bill. Thank you. We have made a concerted effort lately to get out and explore our backyard and it's amazing the places and things there are to do close by. I'm not a big wine drinker but it sure was fun exploring the backroads of western Massachusetts to find these places. Thank you Flourish, have a great day. Hi, Bill - Back as promised to pin and G+. There you are, doing what you do best, writing travel articles with style. Nice job, Bill. My days of wine tasting are over, but it was enjoyable reading a quality article. Thank you Flourish. We had been wanting for years to spend a day doing this. 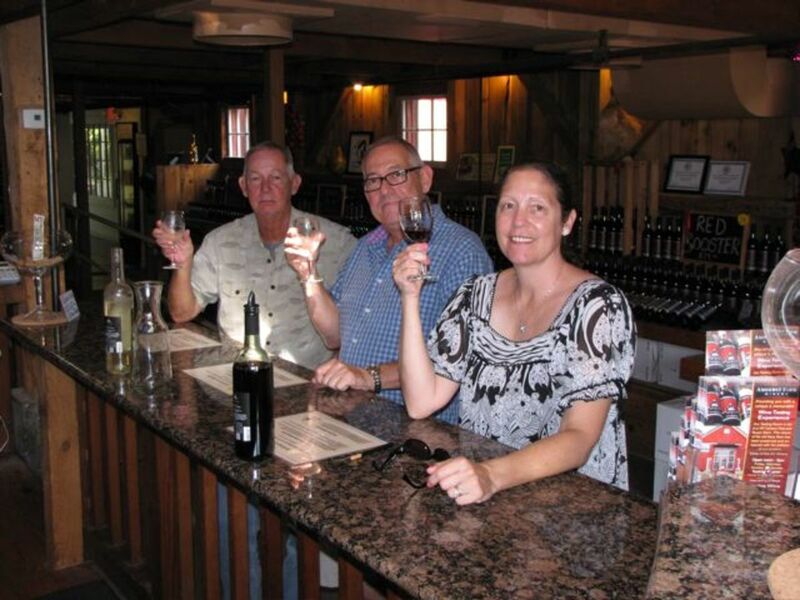 There are a number of local wineries out in the Berkshires as well as in the Pioneer Valley so we will definitely plan on doing this again soon. I'm sure this is a very popular option for travelers as well as local wine aficionados. Well presented. Will pin and G+ when I am back on my PC.